Today's Fabergé object is once again one of those very useful bell pushes! This one was made around 1900! 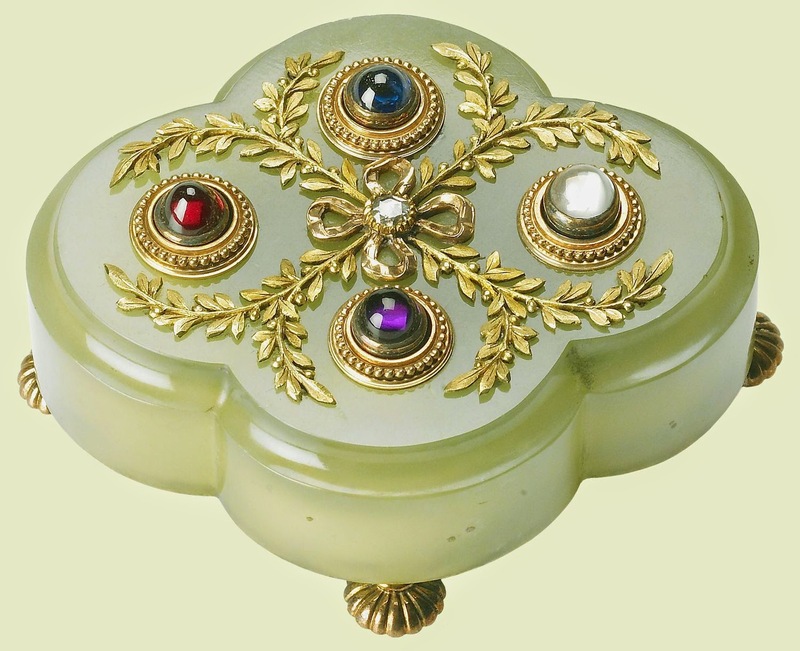 The quatrefoil shaped bell push is made of pale green bowenite with bun feet of two-colored gold. The top is decorated with gold sprays of foliage, with a central ribbon holding a diamond. There are four press studs made of four different gems - sapphire, moonstone, amethyst and ruby. The size of the bell push is 0.9'' x 2.6'' x 2.2'' (2.4 x 6.7 x 5.6 cm), and it is now part of the Royal Collection.